Sometimes I look around the fitness industry and think, "What the hell are we all doing to ourselves?" Why have we accepted workouts that are actually torturous? Why are women willing to wear modern-day corsets -- CORSETS! -- to achieve the "perfect" body? Look, many of the current fitness trends are quite positive, focusing on balance and moderation while embracing a healthy lifestyle. But there are always those other trends -- the ones that give fitness a bad name -- and they're the ones that need to stop. Run streaks are like the cardio version of single-exercise challenges. They basically encourage people to run every single day, racking up as many consecutive running days as humanly possible. There's even a freakin’ United States Running Streak Association where members have run daily for everything from just over a year to more than 46 years straight. The latter is about 17,000 days, if you want to take a moment to envision the hell of doing anything for that long. Running isn’t the problem per se. 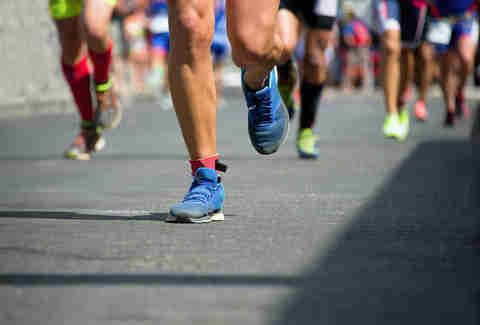 Amanda Nyx, a former collegiate athlete and certified fitness instructor, says, “Many people don’t understand how to do it safely or at an appropriate level for themselves.” FYI, running for more than 17,000 days isn’t appropriate for most people (as you'll see from the fact that only one person has done it). Days off for recovery are important. If you want to set running goals, great. Just don’t aim to run every day for the foreseeable future. This trend gets a facelift every couple years, but the basic gist never changes: to get a "long, lean" body (or the latest marketing tool, the "dancer’s body"), you absolutely must lift super-light weights a million times. Like running, these high-rep, low-weight workouts aren’t necessarily bad. Barre workouts, the Tracy Anderson Method, and even some cycling studios incorporate the tactic into their programs, but Jennifer McAmis, a fitness instructor and personal trainer, explains the problem is with the implication. If light weight-training means a long, toned body, heavy weight-training must mean a bulky body, right? The type of body you achieve through training relies on many factors, including diet and whether your goal is to develop strength or build mass, and it tends to pigeonhole women into one style of training and men into another. Also, muscle length is fixed. You’re not going to get longer muscles by doing one form of training or another. Remember the "plank-a-day" challenge from a few years back? Planks may not be taking the Internet by storm like they once did, but other, similar challenges have taken their place. For instance, monthly challenges focused on nothing but squats, push-ups, or burpees. Rachael Novello, a personal trainer and fitness coach, points out that focusing on nothing but one exercise to “get your dream body” isn’t the way to go. It keeps the myth of spot reduction alive, giving people the impression that they can look hot in a pair of cut-offs by doing nothing but squatting all day. Sure, you may be able to strengthen and tone your glutes and quads, but if you aren’t simultaneously watching your diet and incorporating conditioning work into your routine, you’re never going to get the results you’re looking for. Sarah Parker, another certified trainer, expands on the root of the problem: “Talk about overuse injuries!” If you’re racking up 250 burpees or push-ups or squats or whatever the challenge is, the stress you’re placing on specific muscle groups is significant. Will you inevitably get an injury? Maybe, maybe not, but you definitely increase the probability. It’s one thing to work hard during a workout. It’s an entirely different thing to quite literally be pushed to the brink of breaking yourself for the sake of... what, exactly? 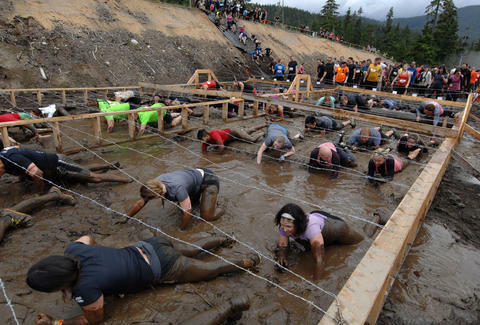 Races where people voluntarily crawl through electrified puddles of mud, or training facilities that push participants to the edge of rhabdomyolysis are downright idiotic. You point me toward a trainer or workout that subscribes to the “No pain, no gain” rhetoric, and I'll point to a trainer or workout that needs to stop. Waist training and any other workout "shortcut"
It’s not like waist training is the only culprit, it just happens to be one of the most recent offenders. Weight-loss supplements, ab belts, and sweat suits are a few of the other shortcuts people have been turning to for years to try to bypass the legitimate challenge of eating well and working out. Sadly, they don’t work, and even when they lead to short-term gains, they don’t boost your health in a way that supports long-term results. I’m sorry, but just because you’ve landed a few movie roles or you have 2 million followers on Instagram doesn’t make you a fitness expert. People actually go to school for that. For a lot of years. Laura Williams is an exercise physiologist and fitness writer who hates nothing more than an uncredentialized fitness "expert." Share your fitness trend pet peeves on Twitter: @girlsgonesporty.